In early 2017, when Domaine Santa Duc joined the Martine’s Wines portfolio, our team knew we were adding both quality and depth to our well-established roster of stars from the Rhone Valley. 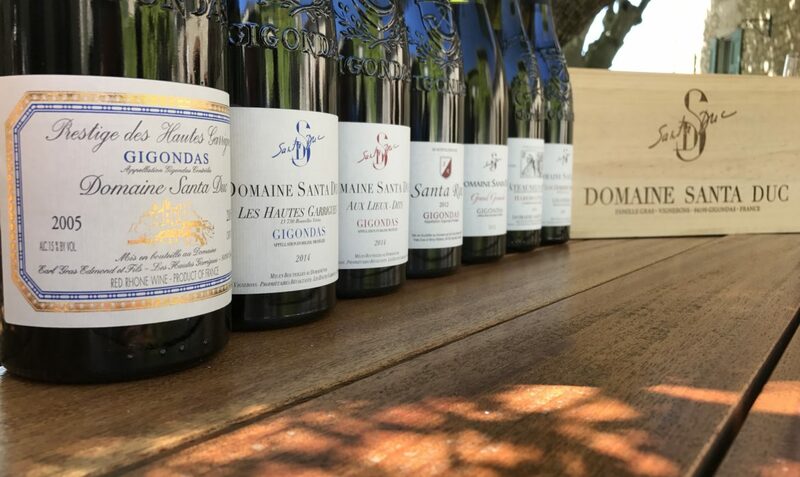 The Gras family has been a fixture in Gigondas since the 19th century, and in recent years, under the guidance of Yves Gras, Domaine Santa Duc has gained notoriety for its ability to honor tradition while taking strides to innovate and evolve. The surest sign of this willingness to break new ground is the domaine’s new winemaking facility, which was under construction when we visited in April of last year and completed when we visited again in November. In the video below, we meet with Yves’ son, Benjamin, who assumed control of the family business from his father with the 2017 vintage. Enjoy a sky tour of the family’s vineyard holdings in Gigondas and Chateauneuf-du-Pape while Benjamin speaks with us from the new cellar, discussing his approach to winemaking and the decision to switch to biodynamic viticulture in 2017.